Catch my review and enter the $25 Amazon GC giveaway below. Hannah is a nineteen year old drama student studying abroad at RADA, the premiere acting school in London, returning home to Wisconsin to attend her widowed mother’s whirlwind wedding. She’s not only innocent–never even been kissed–she’s terrified of flying. The First Class ticket is a godsend from her new step-father-to-be, but Hannah’s panic overcomes her in the lounge where she’s sent when the flight is delayed. She faints, and is rescued by a sweet, ginger-haired boy who calls himself T. T coddles Hannah, and helps her get settled on the flight–which they share. He’s had a big heartbreak recently, and adores the way Hannah just looks at him, and speaks to him like any normal person–which is rather novel and charming. T happens to be Theo Callahan, a guitarist and songwriter from a well-known boy band. Hannah thinks that sweet T might be the ‘prince’ with whom she’s been longing to share her first kiss, but she soon discovers his true identity and gets way gun-shy. Theo won’t let her escape without a bit of romance, however, and that’s when things get totally messed up. This is a sweet, short, read with all the appropriate moments of tension. I liked it a lot, and would recommend it to readers who like a squeaky-clean teen romance. Because it’s a rock/boy-band romance you can expect the usual crushes of fans, leaks of personal information, and a giant misunderstanding. What was different was the sweetness of the relationship between mother and daughter, the tender affection of the groom, and one ridiculous dress. While I never understood Hannah’s fascination with kissing in the rain, her first kiss definitely arrives in spectacular fashion. Interested? 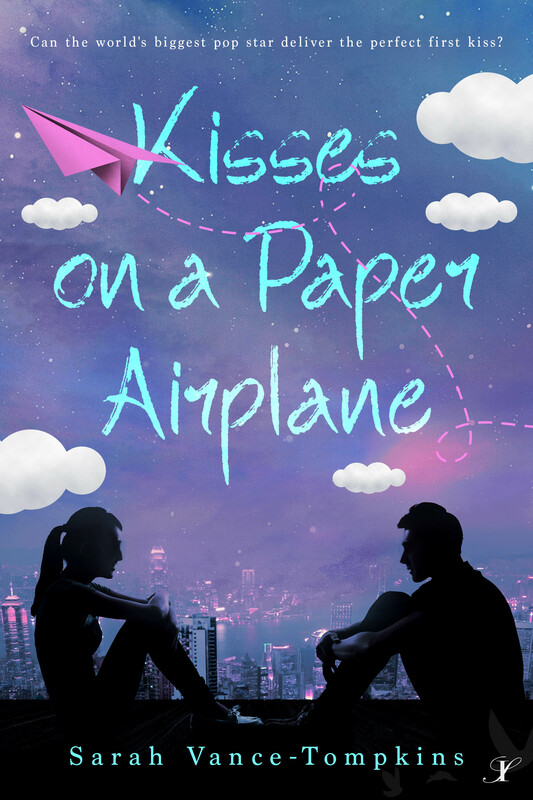 You can find KISSES ON A PAPER AIRPLANE on Goodreads, Amazon, and Kobo. 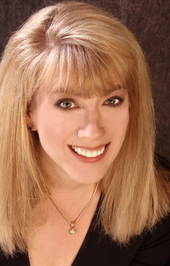 Catch up with Sarah online on her website, Goodreads, Twitter, Facebook, Instagram, Pinterest, Google+, Tumblr and Amazon.